Confession: My favorite part of fast food lunch is the part where my kids play in the play area while I relax with a soda and, hopefully, one of my besties. This is about as close as I get to a vacation day hour. And as luck would have it, I got to spend some wonderful time doing just this thing today. As I sat down watching all three of my kids playing happily, I thought, this is the life. The Cherry Coke was perfection. The French fries, life changing. And the conversation with my friends – PRICELESS. My heart sank as I thought about how the yellow shirt was really yellow pajamas – but she was too kind to mention it. Then my heart sank further because my son had done something so egregious that this Mother had needed to come seek me out. As I admitted, “He’s mine” I began to mentally prepare for the news to come. Had he bitten someone? Did he shove someone down the stairs? Was he blocking the slide? I had thought he was playing nicely as I watched him through the glass. I know kids and I know things can change fast though, so I steeled myself. Shockingly, this Mom didn’t seem to notice our exchange. 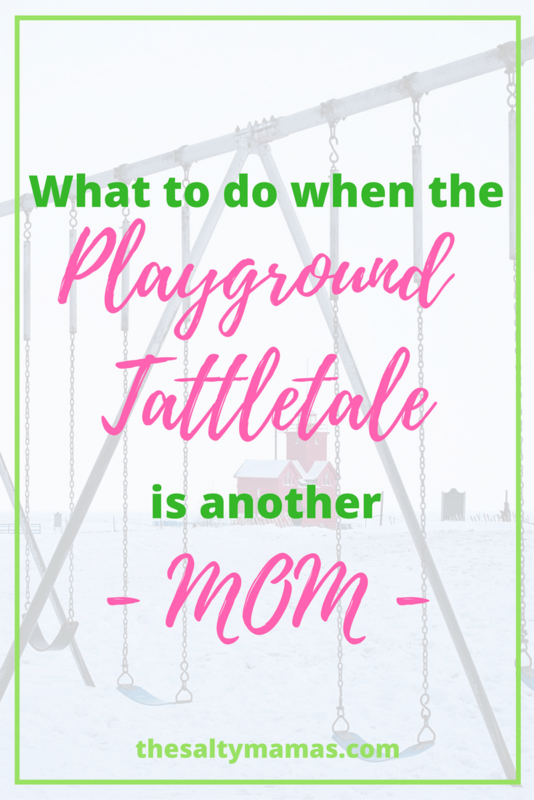 So as Mothers, let’s be problem solvers, not tattle tales. Let’s engage, not report. And for God sakes, let’s let our kids roar once in a while. He’s got the eye of the tiger, a fighter, dancing through the fire. Sometimes, you just GOTTA roar at someone who’s being ridiculous! Also, that’s NUTS! I can’t imagine confronting another mom because her child roared at mine!!!! ? I think you handled it well! Many other moms would tell the woman off and get into a huge confrontation. And even though she probably deserved that (and maybe was looking for that? ), that wouldn’t have taught your child anything about dealing with conflict. So, go you!! I’m sooooo non confrontational in real life! In my head I have words for people though, haha! I am sorry that mom ruined your vacation hour. When my daughter was 4, she loved playing like a Tiger. It didn’t always go over so well. She roared a lot. I actually wrote, illustrated, and published a children’s book “Talking Tiger is Tough” You can see it on my website. I am not here to self promote. But I have empathy for you and other’s uninformed judgements. Love following on Twitter ? Oh how cute! I need to check that out ? Our 4 year olds would get along, haha! Lol, my daughter would probably over-explain why she didn’t like what he was doing until he just backed away slowly. Love this! I’m not a mom but you write in such an engaging way it was interesting anyway! Aw man! I hear ya mama!!! Sounds like you handled it so well though! Way to go! Oh, my goodness! Yes to all of this. Well said. I love this so much! Can we be friends?